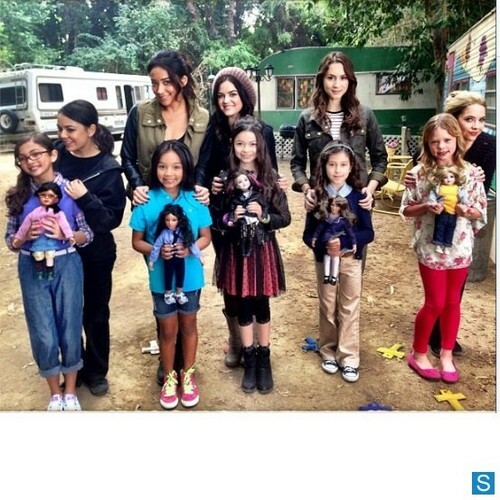 Pretty Little Liars - Episode 4.01 - 'A' is for A-l-i-v-e - Various BTS afbeeldingen. . Wallpaper and background images in the Pretty Little Liars TV toon club tagged: pretty little liars season 4 4x01 bts photos. This Pretty Little Liars TV toon photo might contain straat, stad scène, stedelijke omgeving, stad straatbeeld, and stedelijke instellen.